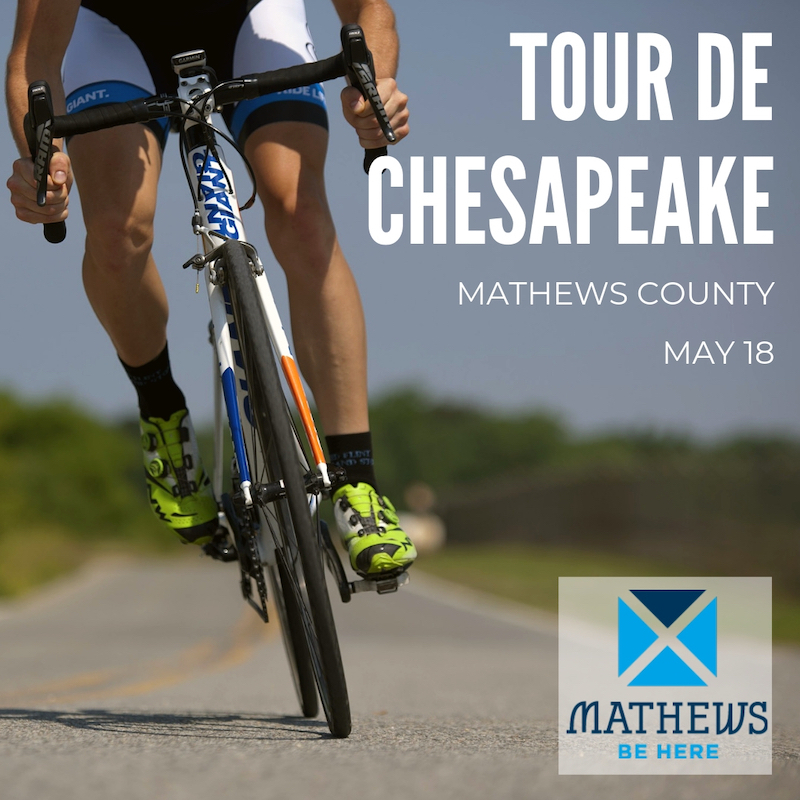 Sign up now for this year’s Tour de Chesapeake in Mathews County! 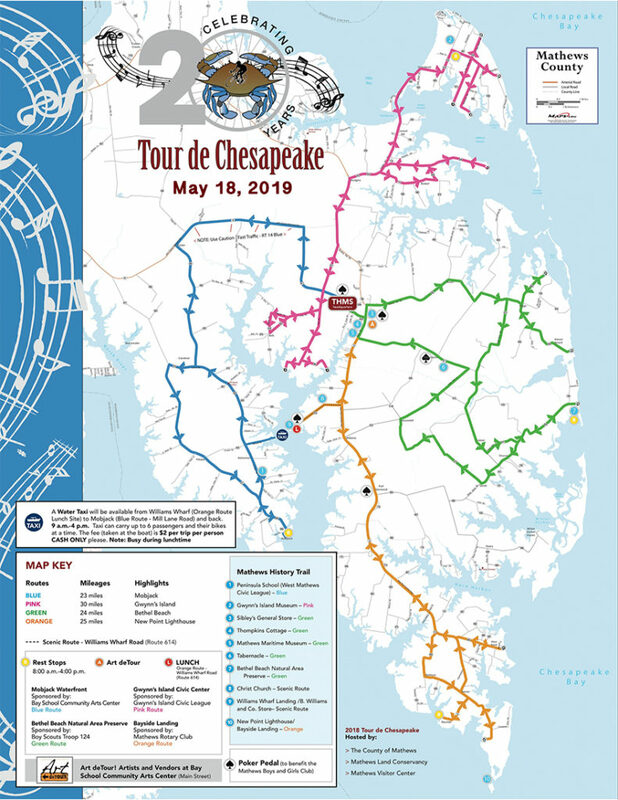 This year is the 21st Anniversary of the Tour de Chesapeake Bike tour in Mathews County! 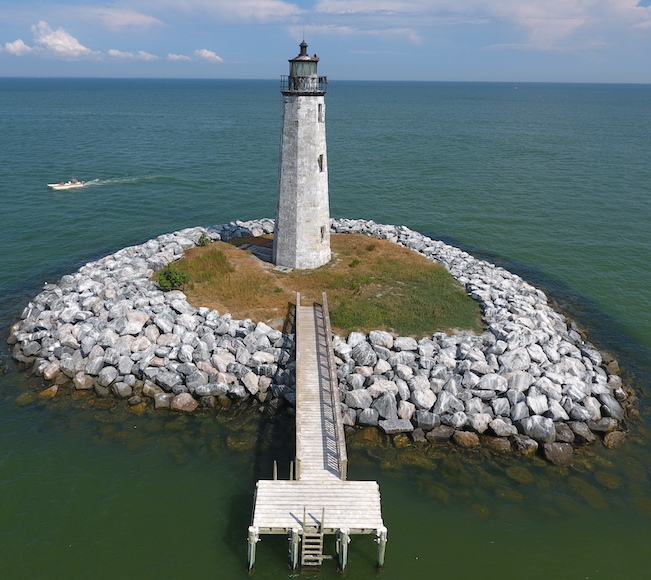 This tour is the only Coastal Virginia, Cheapeake Bay bike tour — thousands come each year to enjoy the flat roads, beautiful scenery, and over 100 miles of routes that are friendly for all levels. The ride is only $35 for adults, and $20 for children 7-12, and if you are on a budget, you can do this weekend trip for under $100 a person! Are you outdoorsy, active, and like to visit new places? We guarantee this week will be authentic! Biking along the beautiful fields, peninsulas, and marshlands of Mathews is one perk among the many ways you can experience the Chesapeake Bay lifestyle. Take a local watermen’s deadrise boat taxi from one bike route, across the East River, to another route on the other side of the county. Book a kayak or SUP detour between rides to paddle one of our blueways water trails, or visit the local lighthouses! Celebrate your hard work Saturday night at a FREE party on William’s Whaf’s beautiful waterfront pavilion with live music, and seafood and drinks available for purchase! Whether you are a beginner, intermediate, or experienced rider, you will find routes appropriate for all skill levels. Come down for a day trip, Saturday May 18th, or spend the weekend in Mathews to experience all this small, quaint Chesapeake Bay Town has to offer. Beautiful, natural sandy beaches. Learn more about local beaches. Historical Sites and an “Art deTour” Saturday to explore local artwork in town. Plenty of restaurant options in town for fresh seafood, and local cuisine. Kick off the Spring with a beautiful weekend in Mathews County, Virginia. Mathews is located on the Middle Peninsula of the Tidewater region, only 3 hours from DC and 1.5 hours from Richmond, Hampton, Norfolk and Chesapeake. Mathews is the second smallest county in Virginia, and has the most shoreline of any on the Chesapeake Bay. Most riders have a great experience, and come back each year!